When Twilight visits her sister-in-law Cadance in the Crystal Empire, she's surprised to find that something is bothering her sister-in-law but she won't say what! 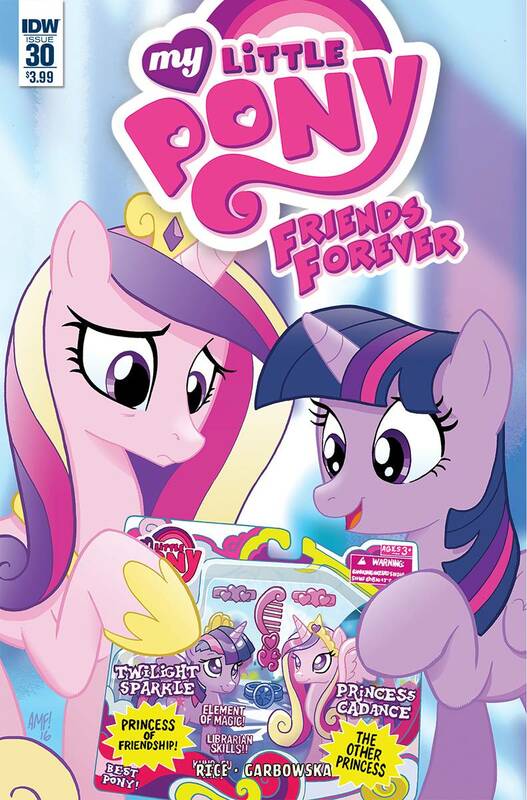 Twilight must find the reason behind Cadance's loss of self-esteem before the Empire itself becomes imperiled! Bullet points: Part of IDW's month-long variant cover program, celebrating the return of ROM!